The University Libraries at Bowling Green State University has greatly expanded its collection of Great Lakes research materials thanks to a significant donation from the National Museum of the Great Lakes, which is owned and operated by the Great Lakes Historical Society. More than 160 cubic feet of photos, pamphlets, slides, bound materials, postcards and archival materials have found a new home in the Libraries’ Historical Collections of the Great Lakes (HCGL), housed within the Center for Archival Collection. These additional materials bolster the already robust offering of Great Lakes-related research and artifacts curated by the University Libraries at BGSU. “The Great Lakes materials recently donated to HCGL is a wonderful addition to our holdings and provides many opportunities for collaboration between BGSU, the National Museum of the Great Lakes and the Great Lakes Historical Society,” said University Libraries Dean Sara A. Bushong. The addition of these materials to BGSU also will make University Libraries a major research destination in the U.S. for Great Lakes history. Potential areas of collaboration include internships, lectures series, exhibits, new courses and digital galleries. Founded in 1944, the Great Lakes Historical Society was one of the earliest organizations to focus on the history of the Great Lakes region. For the past seven decades, the society has created one of the premier collections of historical materials documenting the Great Lakes, which was previously housed in the Clarence S. Metcalf Great Lakes Maritime Research Library at the former Inland Seas Maritime Museum in Vermilion, Ohio. Julie and her husband established Claire’s Day, a children’s book festival in honor of their daughter. This celebration of Claire’s love for reading has grown to a multiple date celebration, impacting over 20,000 children and family members. 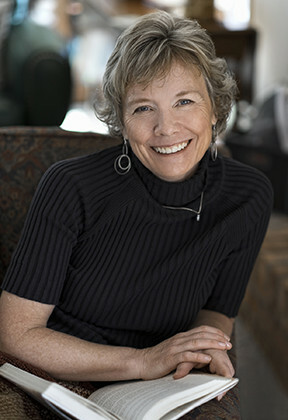 Julie is the author of Missing Millie Benson: The Secret Case of the Nancy Drew Ghostwriter and Journalist, published by Ohio University Press and Hidden Ohio, a picture book. She has also written Virginia Hamilton: America’s Storyteller, a biography of America’s most honored author of children’s literature, to be released by OUP in June 2017. She currently serves on Maumee City Council, and enjoys reading to kindergartners weekly. But most of all, she cherishes her roles as wife to Brad and mother to daughter Kyle and son Ian. Julie is the recipient of the Toledo area Jefferson Award (2015) and the YWCA Milestones Award (2016). Experience cutting-edge technology at the STAC with two additional pieces of equipment! What is Oculus Rift? Oculus Rift is a virtual reality headset. It offers superb stereoscopic 3D visuals and utilizes head tracking technology for a highly immersive experience. The device works by creating a 3D image to detect the user’s head and body movement. Endless Exploration With the Rift’s advanced technology, you will immerse yourself in a sensorial environment. Whether you’re stepping into your favorite game, watching an immersive VR movie, jumping to a destination on the other side of the world, or just spending time with friends in VR, you’ll feel like you’re really there. Procedure Two Oculus Rifts are available during designated STAC hours. Patrons will be permitted no more than 60 minutes on the Oculus Rift in a given day. The STAC’s Oculus Rift is available to use with programs picked out and downloaded by STAC Staff. What is a Universal Laser Cutter? The laser cutter can accurately and quickly laser cut intricate designs over a wide variety of materials, including acrylic, wood, glass, and textiles. The laser can also engrave, emboss, and rasterize materials. The machine contains a honeycomb cutting table that hold materials without fixtures and removes smoke and debris that can have effect overall quality. Everyone who wishes to use the laser cutter must attend a training session. Plastics containing vinyl (PVC, PVF, PVA) and pressure-treated wood are not allowed for use in the laser cutter, due to inhalation hazards when cutting these materials. *Not all acrylics are laser cutter-friendly – to ensure a good quality cut without melting your piece, please make certain your material is suitable for use in a laser cutter. For materials purchased outside of the STAC, an MSDS sheet is required. Additional materials can be used with the approval of the STAC student supervisor. Each year, The Friends of the University Libraries recognizes members of the University community for their scholarly publications and artistic achievements. We would appreciate your assistance in identifying worthy individuals or nominating yourself for recognition of accomplishments that occurred in 2016. During the past twenty-nine years, The Friends has publicly expressed appreciation to more than 1,000 BGSU faculty and staff for their important contributions to their disciplines, the culture, and the University. This year, honorees will be selected for accomplishments from January 1, 2016 to December 31, 2016. We will honor them at a reception on April 6, 2017. We are asking you to nominate individual(s) from within your department/area or to nominate yourself by completing the nomination form, which is available on the Friends web site. Self-nominations are acceptable. If individuals from your area submit self-nominations, we might contact you for verification of their eligibility. Carefully review the criteria for recognizing BGSU authors, artists, etc. Ensure that each nominee was employed by BGSU at some time during the period from January 1, 2016 to December 31, 2016 and that the activity being nominated falls within the same period. Note that retired faculty and staff are eligible for nomination. To ensure that all nominations receive full consideration, nominations must be received no later than 5:00 p.m., Friday, March 3, 2017. Thank you for participating with The Friends in this important project. Questions can be directed to libfriends@bgsu.edu. Steve Harris ’71 is on a mission to preserve polka’s musical heritage, and he is entrusting Bowling Green State University Libraries to help him do it. In 2015, Harris, the president of Music Publishers of America (MPA), donated two copies of the thousands of selections in his company’s polka music collection – originally published by the Vitak-Elsnic Company – to the Music Library and Bill Schurk Sound Archives at BGSU’s Wm. T. Jerome Library. Recently, Harris has also made provisions in his estate planning to ensure that the entirety of the company, plus a significant cash bequest, will flow into BGSU’s Polka Preservation Fund at some point in the future to help preserve and promote this invaluable collection. “I know the university and I share the same goal to preserve this part of our musical heritage,” said Harris, who grew up with this genre like so many others in rural middle America, especially those with Eastern European heritage. Although polka originated in Bohemia, now part of the Czech Republic, it spread through neighboring Eastern European countries and was carried to America via waves of immigrants in the late 19th and early 20th centuries. The music is in Harris’ blood. His parents played in a polka band with several family members, and Harris even graced the stage with them at the early age of 11. He has carried on the family tradition, releasing three albums of polka music from MPA’s collection. The latest release just this month was performed by Harris’ own Vitak-Elsnic Tribute Band. Musicians in addition to Harris include his two brothers, a cousin and long-time friends who are all born and raised in northwest Ohio. The album, appropriately entitled Made in Ohio, is available through MPA or digitally through iTunes and Google Play. “The idea is to keep the music alive and reintroduce the genre to a different, younger generation of people and also to update and refresh the originals,” Harris said. Harris’ recent gift to BGSU will help support ongoing cataloguing, processing, promotion and preservation of the collection materials donated in 2015. “It will give us the ability to support additional access to and outreach for the collection and also to acquire and process related materials, support scholars in their research and program activities around polka,” Cleveland said. In addition, the funds will help sustain promotional and outreach efforts in collaboration with area ensembles, as well as student travel to perform pieces from the collection or present on polka topics at conferences. It also will help with the additional acquisition of related polka materials and reference resources. In addition to the sheet music MPA acquired from the Vitak-Elsnic Company, a venerable music publishing company in the polka music industry, Harris plans to donate the company’s business records for historical reference. He hopes BGSU is able to acquire artifacts and music published by other companies as well. Harris is thrilled that BGSU was so gracious and excited in accepting the collection, and he is working closely with the Music Library and Bill Schurk Sound Archives on a plan to promote the vitality of polka in the modern age. Harris, meanwhile, is happy about the chance to reconnect with his alma mater.